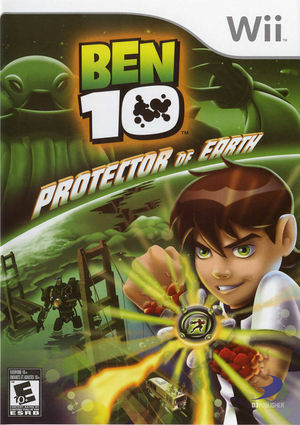 Ben 10: Protector of Earth is based on the American animated television series Ben 10. It follows the exciting adventures of 10-year-old Ben Tennyson who discovers a strange alien “wristwatch” called the Omnitrix, that enables him to transform into different alien beings, each with unique powers and abilities—all while retaining his 10-year-old personality. 1.1 Emulated Wii Remote "You are too far from T.V." Emulated Wii Remote "You are too far from T.V." When using an emulated Wii Remote the game will stop on the opening and say you're beyond the safe distance of the T.V. The only way to make it think you're close enough is to constantly hold "Forward" on the emulated Wii Remote. Refer issue 9132. Use a real Wii Remote to work around this. The graph below charts the compatibility with Ben 10: Protector of Earth since Dolphin's 2.0 release, listing revisions only where a compatibility change occurred. This page was last edited on 27 September 2018, at 20:30.